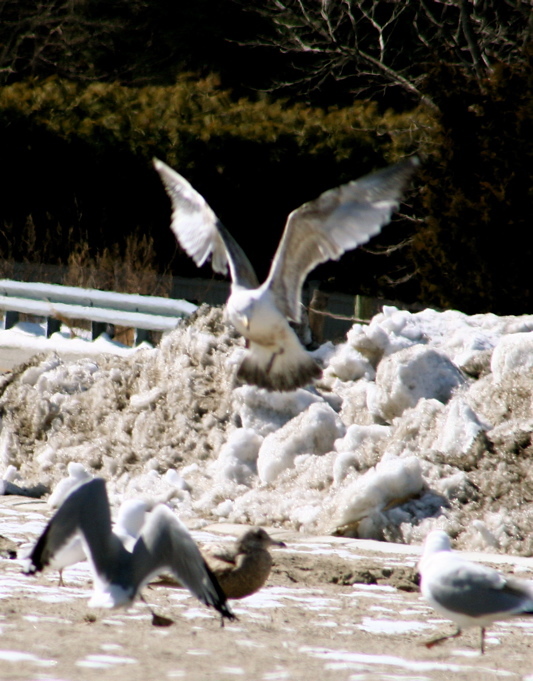 Seagulls on the beach in Southport, CT, in March 2007 – even in heavy snow you find gulls frolicking. 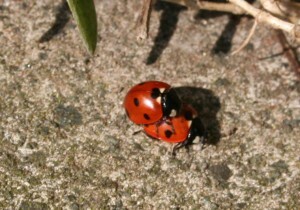 So what do we reckon these two ladybirds are doing? 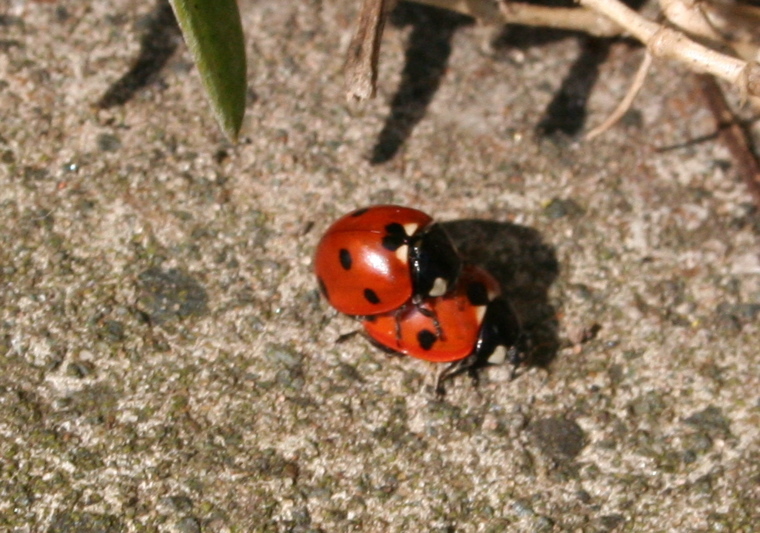 That's right it is leap-frog for beetles.